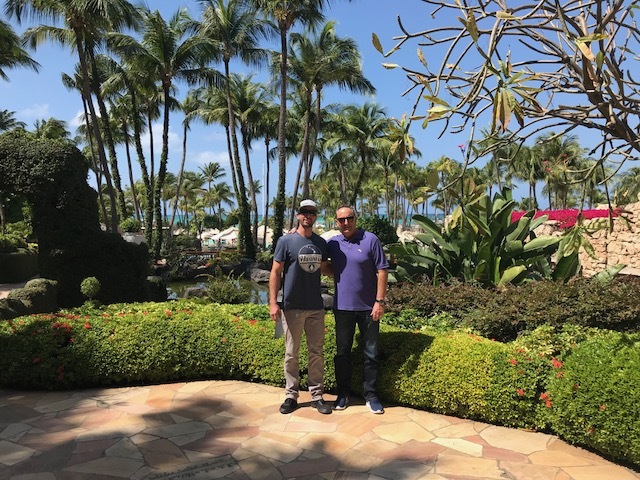 “Momentum" Video Premiers at Leaders Forum 2019 — Rancho Mesa Insurance Services, Inc.
Rancho Mesa’s Dave Garcia, President & Chief Executive Officer, and Drew Garcia, Vice President of the Landscape Group, along with Margaret Hartmann, the Senior Vice President and Chief Marketing Officer at Berkshire Hathaway Homestate Companies, participated in NALP’s Leaders Forum last weekend in Aruba. 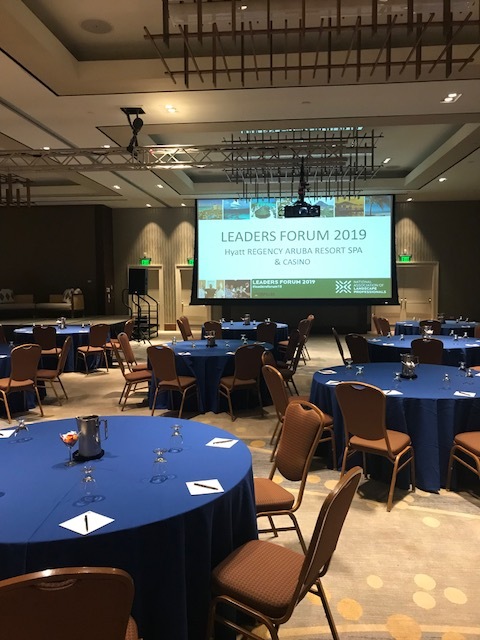 The Leaders Forum is an annual leadership education conference for landscape industry professionals. It is a great opportunity for fellow company owners and executives to connect, share, and learn. The event marked the video premier of Rancho Mesa’s Momentum. After the video ended, Rancho Mesa’s Drew Garcia was welcomed to the stage to address the audience on behalf of the company. Leaders Forum is a great way to jump start the year with fresh ideas that can be brought back to the workplace and positively impact your business. “Let’s keep the momentum going in 2019!” said Drew Garcia. The National Association of Landscape Professionals is the national trade association representing nearly 100,000 landscape industry professionals in the United States, with additional members in Canada and overseas. Member companies specialize in lawn care, landscape design and installation, landscape maintenance, tree care, irrigation and water management, and interior plantscaping. Members also include students, consultants, industry suppliers, state associations and affiliate members. For more information, visit www.landscapeprofessionals.org. The Berkshire Hathaway Homestate Companies is a group of six insurance carriers that are part of the Berkshire Hathaway group of insurance companies. Headquartered in Omaha, Nebraska, with more than 40 years in business, BHHC has grown from a regional organization to a national insurance group, offering insurance products from coast to coast. For more information, visit www.bhhc.com.